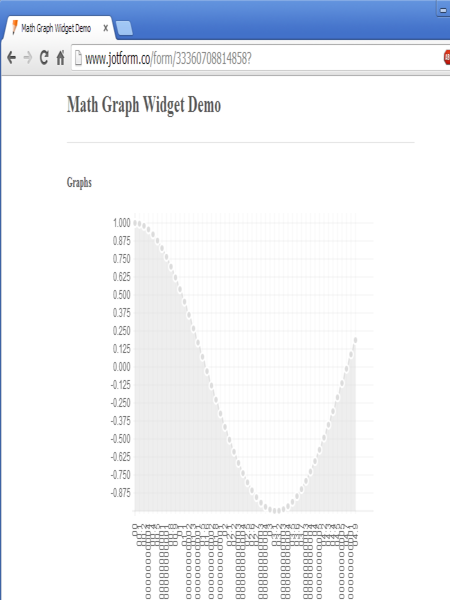 This widget displays a graphs of given mathematical functions. 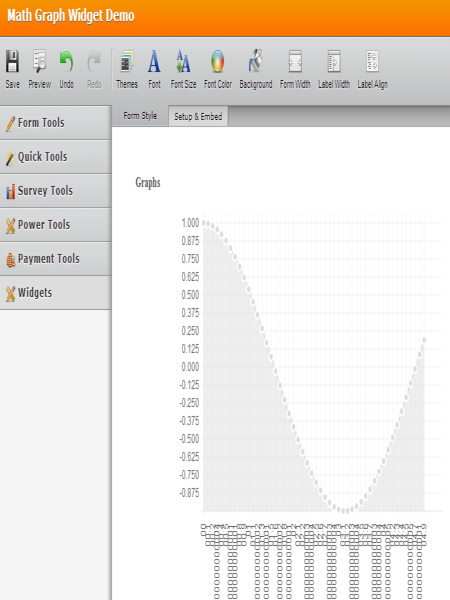 Just define the function on the widget settings and the corresponding graph will be automatically drawn on the form. 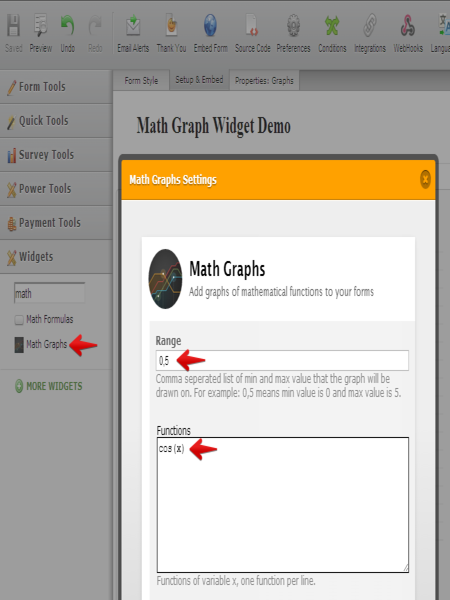 To use this widget, just drag it to your form, write the minimum and maximum limits that the graph will be drawn on the form separateD by comma e.g. 0,5. Enter each functions per line and click finish to generate the graph.